History ..King James 1 conquered the Moors and officially entered the city of Valencia. King James 1 fulfilled the task his father Peter 11 of Aragon had begun further north in Aragon. James 1 retook the lands to the south of Aragon which the Moors had occupied since the 13 century. The Moors surrendered and King James 1 officially entered the city of Valencia on 9 October 1238. The red and yellow striped Senyera is the insignia of Aragon. It has a blue band running down the side bearing the royal crown and every 9 October the flag is lowered from the Town Hall balcony and paraded through the streets of Valencia. The streets are line with parties and many fireworks follow the link to find out more. 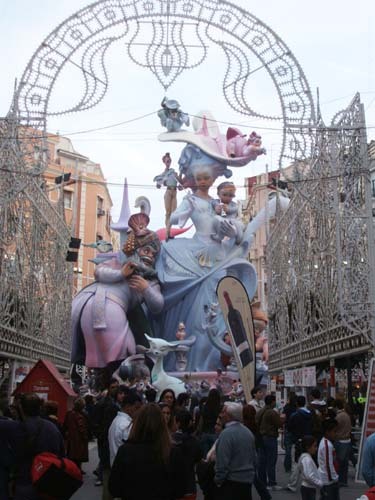 Valencia Fallas is Valencias biggest festival of the year. Every year it is held in March and the festival starts on the 1st of the month with lots of parties and precessions though the city street with 2 daily firework displays and builds up to the 19th. The Fallas is Valenciano for Fires and each year all the different areas of the city build huge statues some as tall as a five story building which line the streets of Valencia and the provinces towns and on the 19th March these statues are burnt to the ground amongst big fireworks displays. 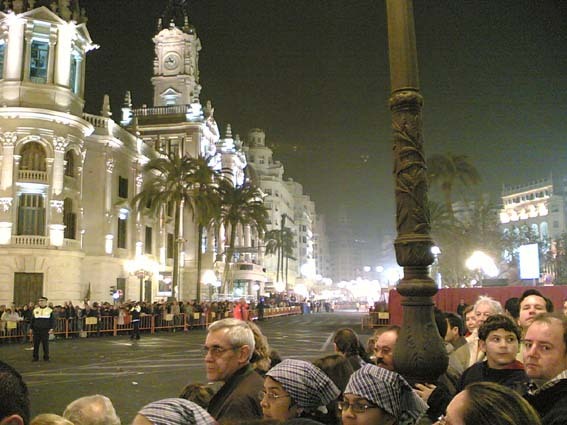 This is one of Valencias biggest festivals and is held the last Wednesday of August each year. The tomato fight has been going years and each year it gets bigger. This is a fun event were the aim of the game is to make as much mess as you can. People from all over the world come to this event and it is held in our local town of Bunol.